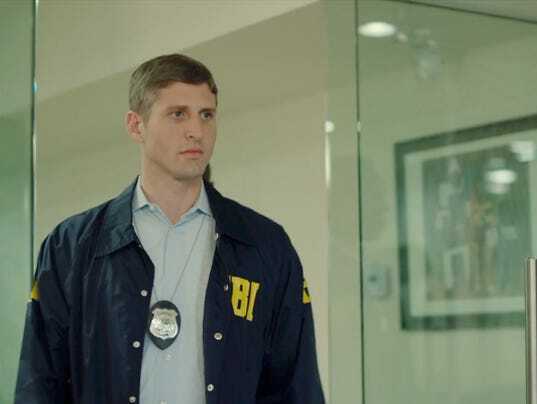 Erica Bryant talks with independent filmmaker and Mendon native Jack Kelley about “Solver.” The mystery adventure film was shot in Honeoye Falls and other Rochester area locations. At a pivotal moment in the film Solver, the hero flips the switch on a complex contraption that’s hidden in a rusted-out 1944 Jeep. It shakes to life, bringing into motion a series of belts and gears that open a drawer in the kitchen of a cabin. Inside the drawer is a clue that leads to the next step in a giant puzzle. Jack Kelley designed the contraption, wrote Solver’s script, and built the Los Angeles-based film company that produced this film. 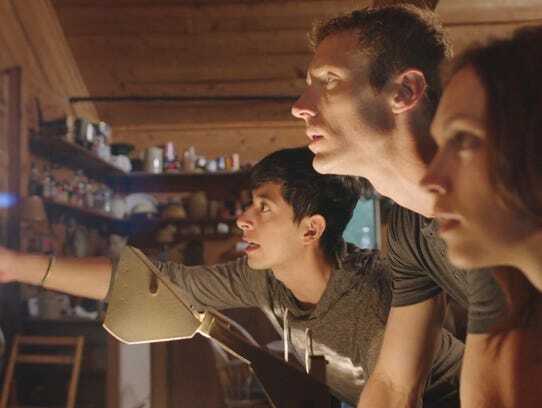 Last year he returned home to Honeoye Falls to shoot his puzzle movie, which will open in theaters around the country this month. Solver tells the story of Luke, a young professional whose grandfather disappears under mysterious circumstances. Luke discovers that his grandfather, a retired engineer, had rigged his upstate New York cabin with clues and puzzles that lead to a secret. The feel of the film is distinctly analog. Coded letters are sent by mail. A clue might be a box of matches, found in a drawer that can only be opened by attaching the missing piece to an electric motor. The plot connects to the MKUltra Project, a CIA effort to develop mind control techniques during the Cold War. It is set in a “hands-on, homemade, puzzle, gizmo kind of world,” said Kelley. Kelley’s two grandfathers helped spark his interest in gizmos. Kelley’s maternal grandfather was a farmer and a “fix your own tractor” kind of guy, Kelley recalled. His paternal grandfather worked for General Motors and spent hours in the basement teaching Kelley how to build circuits or showing him how the furnace worked. Kelley designed most of the machines and contraptions that reveal secrets in Solver, which was inspired by films such as Goonies, National Treasure and Indiana Jones. He largely shunned virtual reality and CGI effects because he wanted the feeling of real materials found in old movies. If you like cracking codes with computers, you can try out the Solver Puzzle Hunt, an online puzzle game that features characters and themes from the film. A series of 12 puzzles appears on the film’s Instagram account, @solverfilm. Answers are submitted through the Clue Keeper app and prizes include tickets to the Solver premiere in Los Angeles. 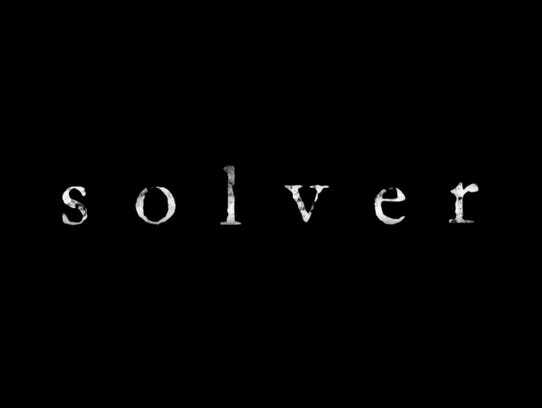 Information about the Solver Puzzle Hunt can be found at solvermovie.com. Other puzzles were created by designers such as Geocaching, the treasure hunting game, and Breakout Games, a company that designs escape rooms, or physical adventure games that require people to use their brains to succeed. Enjoy Café regulars are excited about the premiere. In addition to Enjoy Café, you might also recognize Ye Mendon Tavern, some old Kodak facilities and the bridge that brings Route 65 over Honeoye Creek. Parts of the film were shot at Young Lion Studios in Rochester Tech Park. The cabin scenes were shot at Kelley’s family cabin in Pitcher, Chenango County. Kelley graduated from Honeoye Falls-Lima High school in 1998 and went to Yale University. His roommate was a film major and together they won a student film contest with a “ludicrous comedy” about the origin of a giant wooden gnome near their dorm. This experience taught Kelley that he enjoyed making films. He didn’t seriously consider pursuing the craft until after a stint as a gardener on the island of Elba, a year spent in South Korea studying tae kwon do and eight years in New York City working for Colony NorthStar, a real estate and investment firm. He enjoyed this work but felt a pull to do something creative and wrote screenplays in his spare time. In 2014, he won the first runner-up award at the Charleston International Film Festival for a screenplay about an effort to track down the secret of the lost continent of Atlantis. This award helped persuade him to leave New York, relocate to Los Angeles and seriously pursue filmmaking. Shortly after moving to Los Angeles, he became friends with the actor John Ruby, who plays Luke in the film. They both loved puzzle and treasure hunt movies and came up with the idea for Solver together. Kelley wrote the script and founded Empire Builder Productions to produce the film. Its budget was just under $1 million, raised mainly from private investors. Solver will be shown at The Little Theatre, 240 East Ave. on at 6:30 p.m. Friday, Jan. 12, and The Cinema theater at 3:30 p.m. Sunday, Jan. 14. Kelley will participate in a question-and-answer session after each show.